First off, you cannot approach the Hershey's Candy Cane bar as a chocolate bar. That only leads to disappointment. However, if you approach the bar with the knowledge that you are consuming "Mint Candy" loaded with red crunchy candy bits, the bar is a delight. It tastes exactly like those smooth and melty non pareil mints molded into candy bar form. 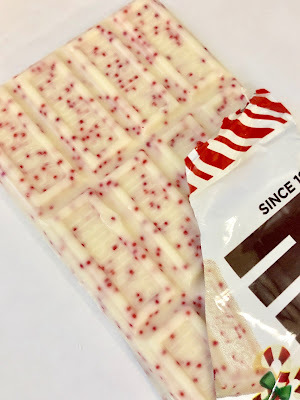 The Hershey's Candy Cane bar would never become a go-to candy for me--the chocolate bar will always win. However, during the holiday season it's a tasty and festive way to shake things up. Definitely worth a taste!